The BSIT program is a 121-122-credit hour program, of which the last two years of coursework must be completed at KU. The BSIT program is designed to allow students to finish their degree at their own pace. Some students would like to finish the program in four years, while others may need more time. The KU Core. The KU Core is a comprehensive curriculum for all KU undergraduate students and its objective is to ensure that undergraduate students are prepared for successful lives and prosperous careers. 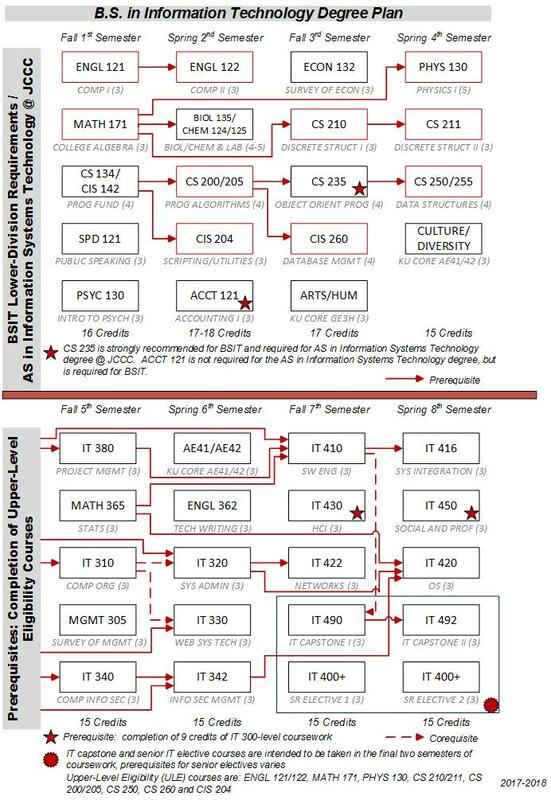 The BSIT Core guideline illustrates how the BSIT program meets the KU core. For additional information, please visit http://kucore.ku.edu.